Many of you know I am married to my 50mm lens. If in an emergency and I could only grab one lens, that would surely be the one. Today I rented a 24mm TS-E for an interiors shoot and totally fell for it. I always wanted a tilt-shift for the "shift" aspect of it, and always thought the "tilt" was a bit of a gimmick that was getting overused by wedding photographers. Then I went to town with the tilt knob anyway. Oops. It was just so fun. At $2100 and not exactly a walk-around all-purpose lens, it's not a lens I'll be adding to my portfolio any time soon (oh I would if I could), but I'd happily rent it again. Before returning it, I went to shoot my favorite NYC building. This lens allowed me to shoot in a way I never could before. Never mind the blurry sides; look, straight lines!! 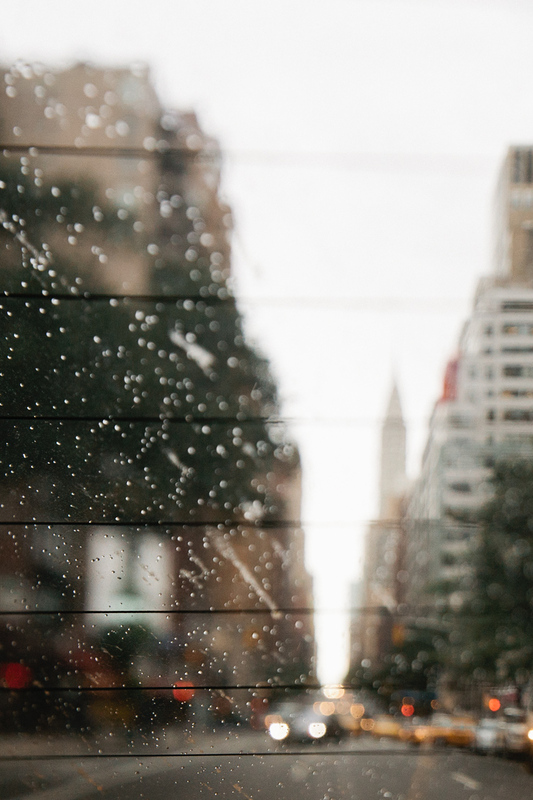 This last photo was taken from the backseat of a cab. You can see another building I am quite fond of there blurred in the background. Definite wow factor here. Stunning! Obviously that lens needs to be yours! Wow! Now I might have to rent that lens, too. these shots are so neat!!! the city is beautiful. Great work! 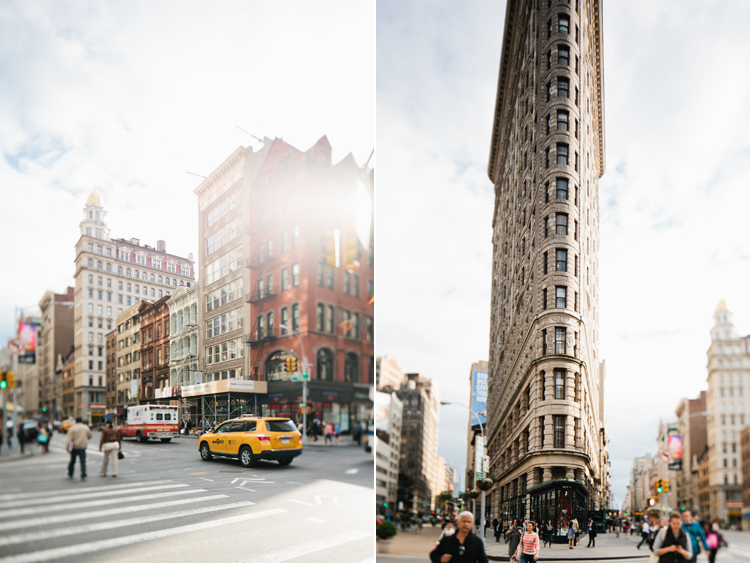 The Flatiron never looked so gorgeous. I totally love the Flat Iron as well!!! thanks for capturing it in this beautiful way! holy cow. these are stunning. makes me crave new york too. you create such beautiful imagery, alice! the first one is simply AMAZING! wow, that shot is really amazing! It is crazy to have all that space after using the 50mm, isn't it? Gah, stunning work. I tried to rent a TS-E for my trip to Vancouver last year but they didn't get it returned in time for me to get any real use out of it. So gorgeous! Those photos are amazing! NICE! I've been wanting to try out a TS for a while now--imagine the possibilities on a food shoot. 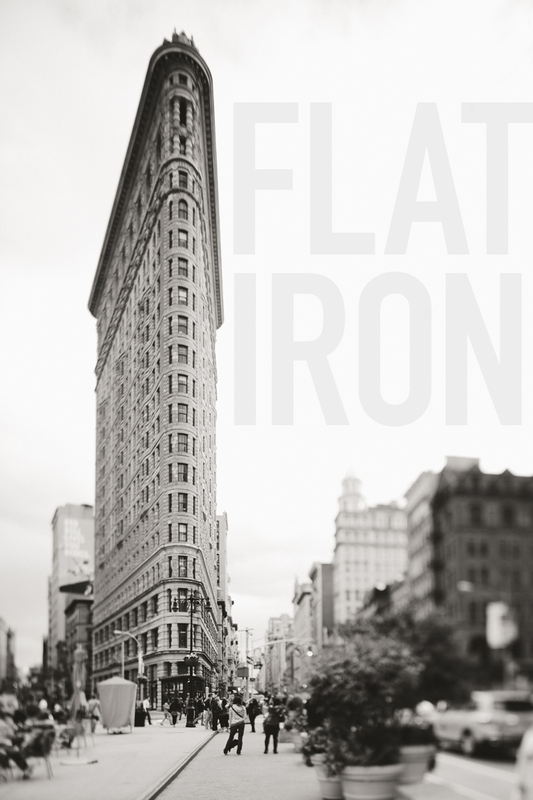 :) The flat iron b&w looks so amazing! Just went through your previous posts. Sounds like you had quite an adventure in Paris. I'm glad to hear nothing uneventful happened. I've made a note of the restaurant. Will definitely try it when I have a bit more time in Paris. It's usually a quick 24 hr turnaround trip :( Amazing photos as always! Lovely... Thiiiiis close to getting the 45mm! ooooh... i have long been intrigued by the 24 TS lens. straight lines. you got it! I really love how you see New York. These are beautiful. gorgeous, I love the first two coloured shots. sounds like a fun lens. oh i love that lens! i had it on my camera the whole time i was in new york last christmas! of course, it wasn't mine, though now that i returned it, i kind of miss it! it's one amazing lens, and it creates awesome effects, i love the blurring of course, and match that with city lights and i'm there!